Allen Parkes joins the Zion Park District with 35 years of golf management experience. Following his graduation from Ferris State Universities Professional Golf Management program, Allen sought experience at public, private and resort facilities including Sunset Ridge Country Club, Eagle Vail Resort, Innisbrook Resort, Oak Hills Country Club and most recently as the General Manager/Certified Golf Course Superintendent at Chevy Chase Country Club in Wheeling, Illinois. 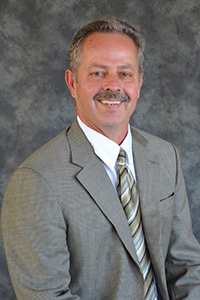 Allen resides in Wauconda, Illinois with his wife, Carie and son, Joshua.